This is a juxtaposition of haves and have nots, old and new, sleek and cluttered. 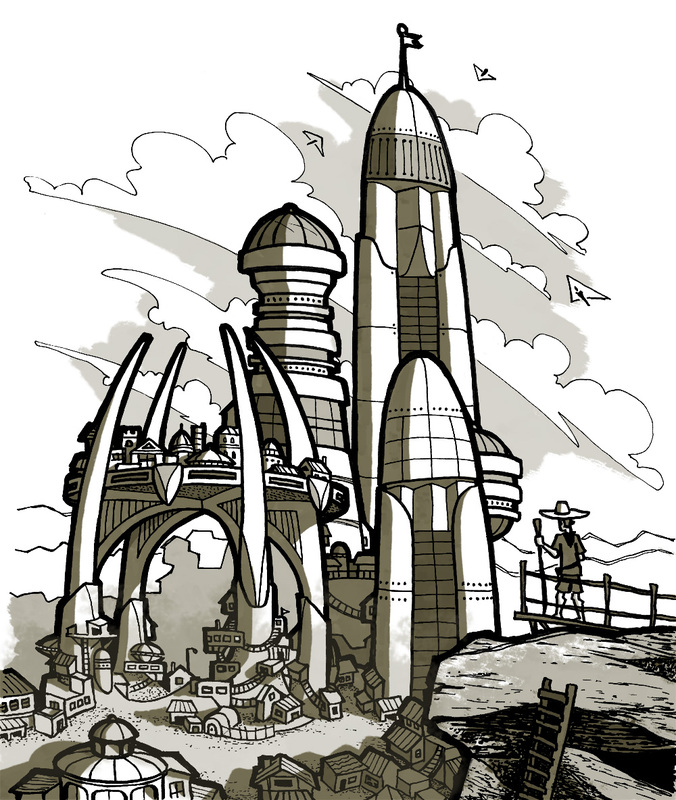 It is also a sketch of a funky cluster of made up buildings. So… very sophisticated.